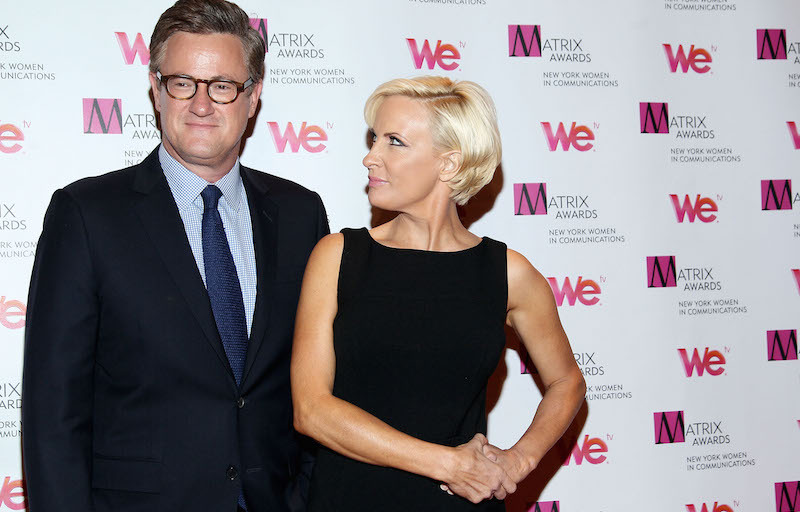 Joe Scarborough, Mika Brzezinski, and Donald Trump either hung out and chatted like old chums in Trump’s New Hampshire hotel room last night or maintained a cool professional distance, according to conflicting reports from CNN and Scarborough himself. Noting the “unique relationship” Trump enjoys with the MSNBC show and its hosts—Scarborough has been asked recently about serving as the candidate’s running mate—CNN reported that the pair visited Trump in his room yesterday evening “while the New Hampshire primary results were rolling in,” citing two anonymous sources. This does not exactly reflect well on Scarborough and Brzezinski’s journalistic objectivity, especially if the visit was congratulatory in nature. And soon after the post went up, Scarborough tweeted at Byers calling him a troll and a liar. And Byers responded by asking the former congressman to go on the record denying that he was present. So far, Scarborough has not responded. UPDATE: An MSNBC spokesperson gave the following statement.